CLP is now a proud to introduce two new services for treatment of several skin conditions. Plasma skin tightening is a new procedure that has been safely and effectively performed in Europe for many years. The precision device works by utilizing the voltage in the air between the device tip and skin to release a plasma charge. This electrical stream, or arc, instantly shrinks the skin in the targeted area. The tissue retraction give results that are comparable to invasive surgery. Great for excess skin in the eyelids (Dermatochalasis) and crows feet. 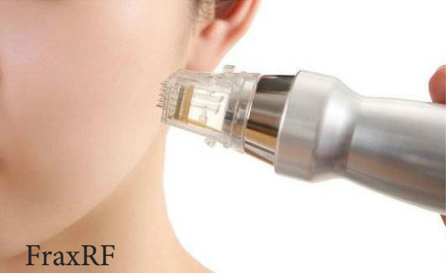 A Fractional Radio Frequency or non laser resurfacing treatment used for wrinkles, acne scars and stretch marks removal, as well as skin tightening. The treatment can be either non- invasive or invasive with a minimum downtime of 3-5 days. Treatment areas include the Face, Neck, tummy or leg stretch marks and arms for loose skin. We will be having two patient seminars, one on March 14th 2019 and the other in April, date to be announced. If you attend one of these seminars you will receive an additional $25 off your procedure. Thats a total of $125 off! Don’t forget about our referral program! For every patient that you recommend to us who fulfills a procedure with us. We will offer you $50.00 OFF of your next procedure. Example 50 units can treat all three areas.